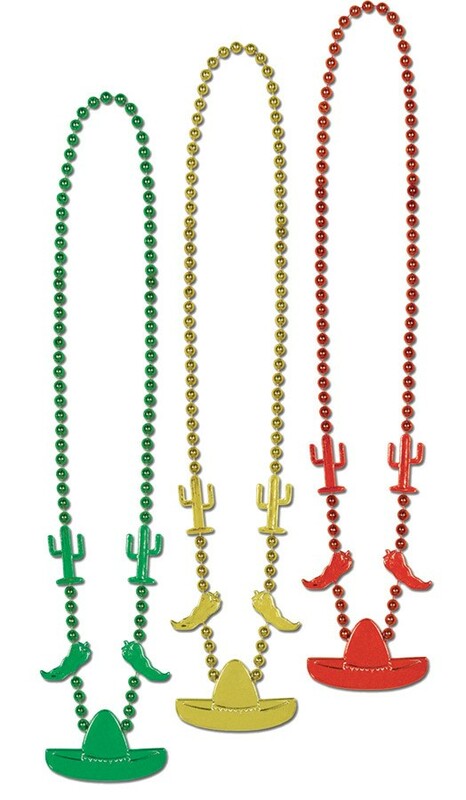 The perfect party accessory for any Cinco De Mayo event! 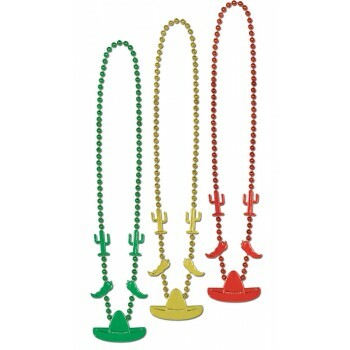 Green, yellow and red beads with larger sombrero, chili pepper, and cactus shapes toward the bottom of necklace. Plastic. 3 necklaces per item. 33 inches long.